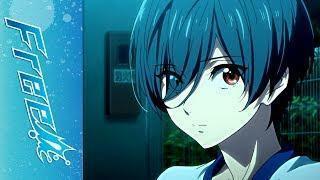 Young Haru experiences a meteor shower with Ikuya, and offers some words of wisdom. Your favorite swimming boys are back and ready to race towards their dreams! Haruka and Makoto are spending their first year in Tokyo attending college and working hard. But when Haru runs into a friend from long ago, memories of the past awaken! Meanwhile, Rin is working hard in Sydney and has his own unexpected meeting. What awaits the boys as they make waves toward the future?